The urban plan of this development area is based on a number of overlapping circles of equal diameter. 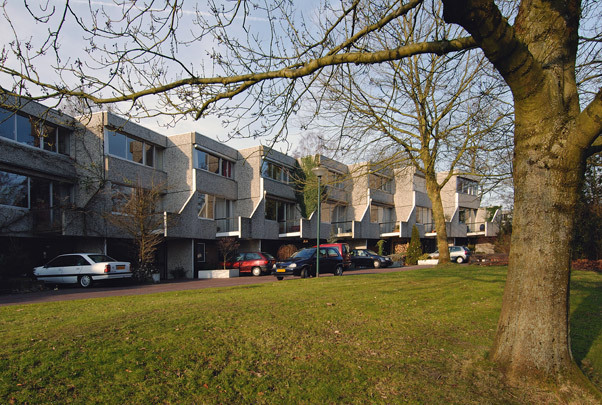 Housing blocks shaped as segments of a circle enclose oval outdoor areas, all leftover space being resolved into a park. The blocks consist of staggered drive-in units of basically the same form with identical facades of concrete cladding panels. Balconies placed where the facade steps back create a natural, sheltered entrance and a rhythmic exterior.